On Tuesday, my little baby girl once again reminded me of the numbering of days. 18 months. 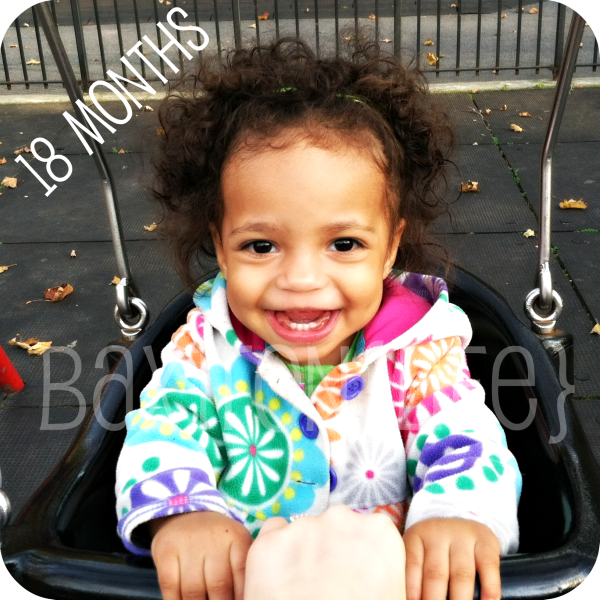 EIGHTEEN months! That is 1.5 years old! That is HALFWAY to TWO! And Zion, how I have enjoyed watching you grow up so far. It is so hard to look back at pictures of you and see how much you really have changed, especially when at times it is hard to remember you any way different than you are now. You are high-spirited, beautiful, inquisitive, thirsty for adventure and filled to the brim with giggles and silliness. You love: bananas, (still), toast with butter, shoes and sock-socks, Elmo and Diego. You adore your daddy and look forward to weekend playtime with him, while cherishing the short time you have with him each morning before he leaves for work. Each day you greet us with a huge "HIIIII" and plenty of hugs and cuddles. You love reading and get excited any time a new book is added to your library. Every morning you demand (pleasantly) that daddy read with you. You have a sweet sweet innocent understanding of God and proudly say "Aye-men" after your prayers. Often you will be singing a song, typically the ABC's or Elmo's theme song. You especially love acting out the motions to Itsy Bitsy Spider. You still love coloring and stickers. You don't know what to think about play dough. You thrive on every opportunity to help mama…and have become the chief recycler in our home. :) Yesterday you helped me make a batch of brownies from start to finish. I sure hope you will grow a love of baking and cooking like I have. You've begun to further explore your independence, testing boundaries, climbing new heights and practicing new skills. You can climb up onto the couch all by yourself. You love practicing buckling your high chair straps together. You try to put your clothes, socks and shoes on. You often try to take them off, resulting in getting stuck with an arm strapped tightly to your head or falling over sideways with a booby trapped pair of pants twisted around your feet. Despite the day to day challenges of looking out for you, disciplining you and teaching you healthy boundaries, I find my heart overwhelmed with your innocence, still wishing I could freeze time and not endure the slow unraveling of your dependence on me…but then I catch glimpses of who God has created you to be…and I open my hand and heart recognizing that you are a gift and not a possession…one that I will cherish for all the days to come. I love you my little cutie-patootie-pie. I remember being pretty emotional about the 18 month milestone. They grow up SO fast! Thanks! Hey … I saw that you entered the giveaway but you missed one of the mandatory entries…I just didn't want you to not get credit…since you already follow the blog, you just have to click the "I did this" by "Subscribe to Life with the Baxtrons" Thanks so much! Our little ones are growing up so quickly! What a beautiful post about sweet little Zion...she is pretty amazing! :) Love it! Your family is the cutest! Happy half birthday to your sweet little girl---she is gorgeous! Happy half-birthday to your beautiful little girl! 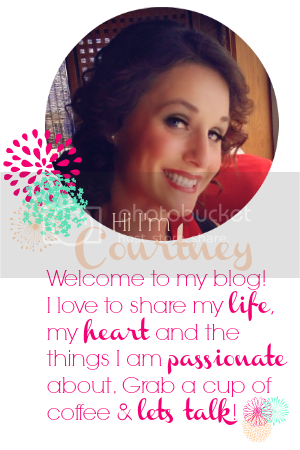 Thank you for the sweet comment on my blog. I'm now following you! Looking forward to catching up on all that I've missed. Love the picture of Zion!